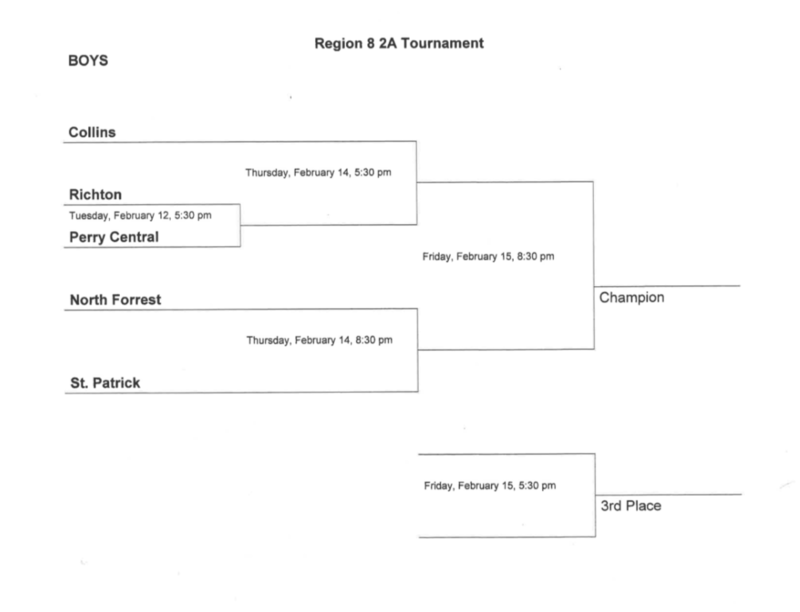 St. Patrick Catholic High School is excited to host the Region 8 2A Basketball Tournament this week! Admission is $7, as this is a MHSAA event. The State Pass is the only pass that can be honored at this Tournament. All entry must be through the front of the gym. No one is to enter through the back doors. 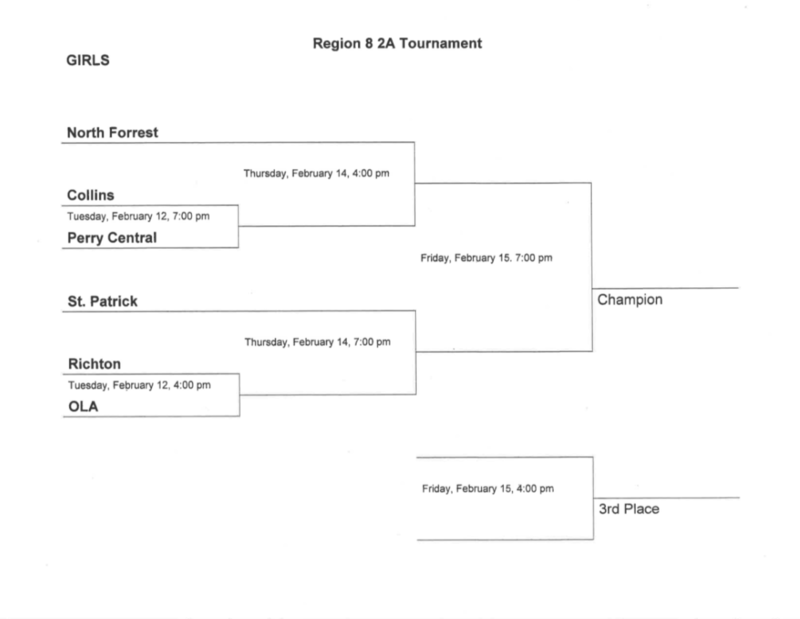 Cheer on the Lady Irish on Thursday, Feb. 14, at 7 p.m. as we face the winner of Richton vs. OLA. Support the Fighting Irish on Thursday, Feb. 14, at 8:30 p.m.
Below, please find bracket information for women’s and men’s teams.